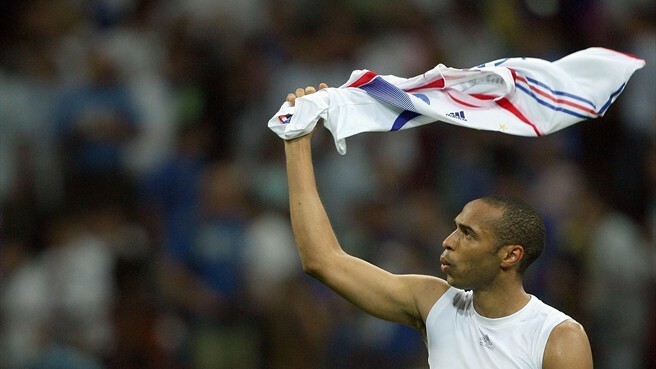 France striker, and record goal scorer, Thierry Henry broke Irish hearts and “handed” favourites France a place in next years World Cup in South Africa. Henry, one of the most respected footballers in the world, added a new notch to his impressive resume, which now reads – Arsenal legend and record goal scorer, France legend and record goal scorer, cheat. On a night when the former world champions were out played and out worked by a spirited Irish team, when France’s world class stars where made to look ordinary, a moment of controversy stole the limelight from what should have been one of Irelands greatest sporting nights. Ireland’s world cup qualifying campaign, in which they’ve punched way above their weight, came to an end in the most bitter of circumstances. Drawn in a group they weren’t expected to get through, a group containing World Cup holders Italy, a Bulgarian team that much was expected of, always improving Montenegro and Georgia, and Cyprus, who have dented Irelands hopes in previous qualification campaigns, the Irish not only finished second, behind Italy, but remained unbeaten in doing so. 2nd place meant a playoff with one of the other 2nd placed teams. They were dealt a blow when FIFA decided in the last week of qualification to change the rules and seed the playoff draw to ensure that bigger teams that were expected to top their groups but failed to do so, teams like France, Portugal, Greece, Russia and at one stage Germany, had a better chance of getting through to South Africa 2010. So the elation of finishing 2nd was quickly replaced by bitter taste shared by the other small teams to get through, Bosnia, Slovakia and Ukraine. Ireland were always going to have to so things the hard way and a draw against France was predicted by most Irish fans and players. To make matters worse they were the only small team to be drawn away in the 2nd leg. This means that should a game go to extra time it would mean the home team in the return leg getting a significant advantage. Ireland were unlucky not to come away with a draw in Dublin with Anelka’s deflected goal going in off the post and giving France a goal lead to take to Paris. In France last night Ireland put in a superb performance bossing their more illustrious hosts and after levelling the tie through captain Robbie Keane, they were unlucky not to finish France off with O’Shea, Duff and Keane having chances to add to the score. On last nights performance a heavy Ireland win would not have been unjust. France had their young keeper, Hugo Lloris, to thank for keeping their hopes alive. With the score after 90 minutes 1-0 to the Irish the game went to extra time. Just as in the prevailing 90 minutes France did little to suggest they’d trouble Given in the Irish goal. With the first half of extra time nearing an end France were awarded a freekick just inside the Irish half. As the ball was played two French players were offside. The linesman flag stayed down. The ball found it’s way to Henry who stuck a hand out to control the ball and then to ensure it didn’t go out he handled it again before playing it to Gallas to nod the ball in to the Irish net with Given and the Irish players appealing for hand ball. The goal was awarded. In a moment Henry’s reputation was tarnished and Irish hearts were shattered. And FIFA rejoiced. Henry has admitted he handled the ball, though he has said it is up to the ref to spot it and not him to basically not cheat. It’s all well an good for players to talk about fair play, and federations such as FIFA to preach it, but it has to be done on the field and not just given lip service. The fact is that with a place at the World Cup up for grabs Henry, and most other players, would have cheated to get their team through. It’s up to the ref and linesman to stop them, as tragic as that is. And the officials did not spot the two players offside, or Henry catching the ball, controlling it with his hand, and setting up the goal. The ref told the Irish players he is 100% sure it was not a hand ball. If that’s the case then he must have been in a good position to see it. Which makes him a liar. And a FIFA puppet. Had Ireland gone out to a legitimate goal, or on penalties, they would have been disappointed, but not so let down and bitter. Remember when Paolo Di Canio stopped play from a goal scoring position because an opponent was hurt? Remember when Arsenal replayed a game against Sheffield United because they scored a goal that was well within the rules but not the spirit of fair play? Henry could have joined the small band of fair play purveyors but made a choice that he must be called out on. The match should be replayed so that a fair result is obtained but there is no chance of that happening. FIFA wanted France to go through and the officials ensured that happened. The game, just like life, is unfair and justice is a hope and not a given. Given that this is a sport, subject to control and scrutiny more so than life, we should expect more. The right thing would be for the game to be replayed, but since FIFA won’t risk France missing out, something their performance deserved, they won’t sanction a replay. They could ban Henry from the World Cup, sending out a message against cheating and doing more than talking about fair play. Again, this won’t happen. Ten years ago, in a playoff match between Ireland and Belgium, Belgium were awarded a throw that was clearly an Irish throw and scored directly from that play, knocking Ireland out. After last nights happenings it seems that Irish luck is merely a myth. The heroes from the Irish team last night had their World Cup dreams shattered by pure and simple cheating. The likes of Given, Kilbane, Keane and Duff won’t in all likely hood have another shot at a World Cup. Where’s the justice? Henry should be ashamed of what happened but Blatter, Plattini and co will be smiling as Irish hearts bleed. Football is a game – fairness should be the least we expect. When the draw is made for any competition, be it at club level with the Champions League, or at international level with the World Cup or in this case the Euro Champs, there is always a group that gets labelled the group of death, because it is a bit stronger then the others and so harder to qualify from. In Group C we truly have a group of death, one that fully lives up to its name, with current world champions Italy drawn against France, Holland and Romania. Group C will be based at the Letzigrund Stadium in Zurich and the Stade de Suisse in Berne. Interestingly the group is made up of the qualifiers from just 2 groups, with France and Italy qualifying from the same group and Holland and Romania getting through from the same group. While it is tough to call anyone favourites from this group it is perhaps fair to say that Romania should be the weakest team in the group, and thus the most dangerous. With the big 3 focusing on matches against each other the Romanians could just cause a few upsets and sneak through against careless bigger teams. Romania finished top of their qualification group, 3 points clear of Holland, whom they drew with away and beat at home. In Chivu and Mutu they have two of the best players in the world, both stars of Italian football with Inter and Fiorentina respectively, and while Chivu will be looking to keep the opposition out, Mutu will look to score the goals that take Romania through. Other players to look out for are Lazio’s Stefan Radu at the back, and Nicolae Dica and Ciprian Marica in attack. The Dutch, much like Spain and England, are Europes perennial under achievers, bringing talented generation after generation to the international scene, but have only a Euro Champs in 1988 to show for their efforts. This year the Dutch team will look to put behind them in fighting and prima dona behaviour and put forward a disciplined approach that will hopefully carry them through this tough group. The Dutch team is packed with attacking options, an embarrassment of riches really, with Ruud van Nistelrooy, Klaas Jan Huntelaar, Robin van Persie, Wesley Sneijder, Rafael van der Vart and Arjen Robben, giving them an endless list of options going forward. However it is in defence that they look vulnerable and a lot of be asked of keeper Edwin van der Sar, with the Dutch perhaps needing to score more than their opponents rather than relying on keeping things tight at the back. 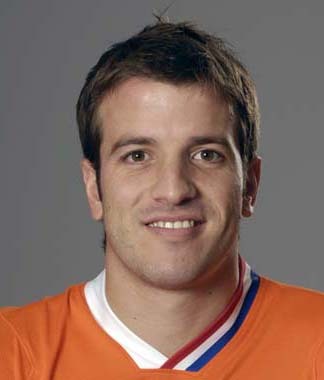 This will have to be the tournament for van der Vaart to really announce himself on the international scene and in so doing seal a move to one of Europe’s elite, if the Dutch are to have an aspirations of winning. The French were not at their best during the qualification campaign, losing twice to Scotland, and finished 3 points behind the Italians, but they were still the groups top scorers and meanest defence. In a big tournament the French can never be discounted, as they showed at the World Cup, reaching the finals, only to lose on penalties to Italy, despite many predicting that they would struggle. They have a blend of youth and experience in the squad that will keep them fresh, while at the same time keeping the spine of the squad as players who have been here done that before. Samir Nasri and Karim Benzema will have the world watching their progression, and many chairman keeping the cheque book close at hand, although Nasri seems to have already agreed to join Arsenal. Ribery and Henry will once again pull the attacking strings, and look to supply the deadly Benzema who will look to enhance his growing reputation by leading France towards the final. World champions Italy have brought a fairly old and aging squad to these finals, but with Italian teams you tend to find that knowledge and tactics will out weigh any tiring legs and carry them through. For a lot of this squad, the likes of Del Piero, Matterazi, Panucci, Pirlo, Zambrotta and Toni this will no doubt be their last big international tournament, and they will be looking to make it a World Cup and Euro double, just as France did in 98 and 2000. Luca Toni will look to score the goals, after yet another prolific season at club level, this time in his first season at Bayern Munich, where he finished as the Budesliga’s top scorer. 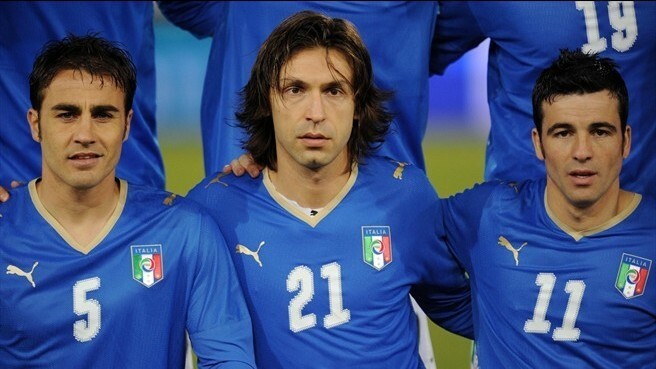 Del Piero will perhaps be used as an impact player from the bench. Much will depend on how Italy cope without caption, and rock at the back, Fabio Cannavaro, who was injured just days before the tournament. Cannavaro’s loss will give an opportunity to Barzagli and Gamberini to show case the almost endless supply line of outstanding Italian defenders. Of particular interest will be how the Italians use Antonia Cassano, who has the ability and talent to be a match winner, but also the self destructive tendencies to bring down team spirit and cost Italy dearly. The group of death is no doubt the most interesting and hard fought of the four groups and thus the most difficult to predict. Going by history, big match temperment of their players, and form, I’d look at Italy and France to go through from this one. But keep a close eye on the Romanians who will be the deciding factor in this group. The top leagues in the world are the English Premier League, the Spanish La Liga and the Italian Serie A, and perhaps the German Bundasleague would also lay claim to joining the elite at the top, although in recent years, the German national team not withstanding, German clubs have struggles in the Champions League. However, while these 3 or 4 leagues may lay claim to be the footballing hot beds of Europe, it is the lesser leagues of France ,and these days Portugal too, that are producing the worlds best footballers. Since Frances 1998 World Cup win, and the Euro 2000 triumph that followed, France have always been amongst the top international teams in the world. Yet their league has failed to produce any real challenges to the likes of England, Spain and Italy’s best. Lyon, 6 times French champions in the last 6 years, have flirted with the idea of being contenders for Europe’s top club prize, but have failed to deliver and solid group form over the last 5 years. The list of French talent that has honed their skill on their home pitches before seeking glory, recognition and huge bank balances on other shores is staggering for such a league. While the likes of Platini, Jean Pierre Papin and Eric Cantona lead the way, the team that won the 98 World Cup and then Euro 2000 was littered with some of the best established and emerging talents to ply their trade on the European and world stage. Desailly, Petit, Deschamps, Barthez, Thuram and Lizarazu won great acclaim and success at the likes of Milan, Chelsea, Arsenal, Manchester United, Parma, Juventus, Barcelona and Bayern Munich, while the generations finest player, Zinedine Zidane, did it for Juventus and Real Madrid. 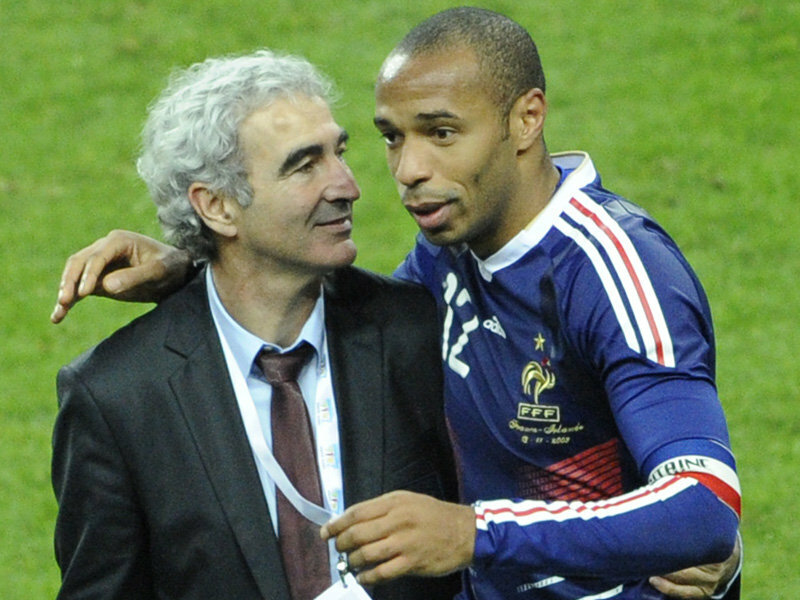 Those French teams also brought to the worlds, and subsequently the big boys in league football, attention to the likes of emerging, precocious talent such as David Trezeguet, who moved to Juventus shortly after, Robert Pires, who went to Arsenal and is now at Villareal, Anelka, who has played for a host of teams ranging from Arsenal and Real Madrid, to Manchester City and Bolton, and the holder of the new French international goal scoring record, and Arsenal legend, now with Barcelona, Thierry Henry. While that golden generation enjoyed its share of success during a prolific 2 year period, the new set of French super stars are arriving in bulk. Ribery, the flying winger was the first to make an impact, and after being linked to every big club in the world, is now playing in Germany with Bayern Munich, where he is helping to regain the dominance they lost last season, and has gotten off to a very promising start to his new club career. Hot on his heels are the talented young trio who look set to be involved in bidding wars in the near future from clubs in England, Spain and Italy, Hatem Ben Arfa and Karim Benzema, both of Lyon, and Samir Nasri of Marseilles. While Nasri has been labelled the new Zidane, as much for his undoubted talent as for his Algerian roots, and Ben Arfa has been lauded as the future of France football, it is Benzema who is making all the head lines at this moment. The 19 year old striker has scored 11 goals in the opening 11 games of the French season, and has been called up to the French national team ahead of Trezeguet. Benzema is now the hottest property in France. A striker, who has been used out wide, much to his objection, he has modeled himself on the Ronaldo who he saw playing for Barcelona and scored 47 goals in 49 games for the Catalan giants. With his growing reputation, and notice being taken by all the big teams, Lyon have offered him 5 new contracts in the last 3 years, the latest of which ties him to the club for another 5 years. Yet at the rate he is progressing, and the ambition he has shown, it is highly unlikely that Benzema will still be at Lyon in the next season or two, never mind five. Arsenal, who have a strong French bias, are rumoured to be interested in bringing both Benzema and Ben Arfa to London. Real Madrid are also interested, however a move to England, to either Arsenal or even Manchester United, would surely be more beneficial to his career, as the English game as been better suited to French players, and Ferguson and Wenger in-particular have a history of getting the best out of young talent. 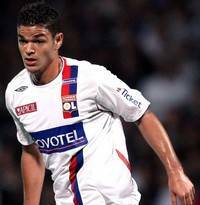 Hatem Ben Arfa was offered a place in Tunisia’s World Cup squad for Germany 2006, but turned it down, awaiting the call from France, his country of birth. 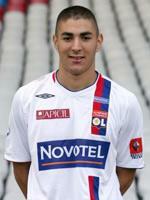 The young midfielder has been widely acclaimed at Lyon since making his debut against Nice in 2005. The left winger has attracted the attention of Madrid, Barca, Inter and Milan,and at the rate both he and Benzema are going at Lyon will find it very tough not to bow to the inevitable big offers that are bound to come for the pair. 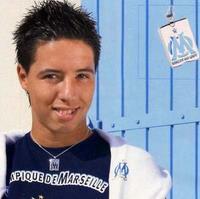 Samir Nasri, the Marseilles midfielder, has already had to live with the billing as the new Zidane. While this has a lot to do with the fact that he is from Marseilles and of Algerian decent, that is not the whole story. The 19 year old Nasri posses skill and talent that are very much Zidane like, possessing an uncanny likeness to the French legend when on the ball. But the humble kid, showing maturity that many his age in the game are lacking, wishes to shy away from such comparisons, claiming that there is only one Zidane, and he is just a young player trying to make it in the French League, something he says he has not yet done. A host of clubs are looking at the young prodigy, who was named France’s Young Player of the Year last season, including Real Madrid, Arsenal and Manchester United. Rumours of a first option deal with Arsenal have been denied, yet with Arsenal Wengers history of bringing young players to London, and bias towards French players, don’t be surprised to see Nari at the Emirates Stadium in the future. These three young players posses the potential and talent to once again take France to the top of world football, and are all being coveted by the best clubs in the world. Unfortunately the French league is a selling league, and all three will have to jump ship to England, Spain or Italy in the near future if they are to fully realise their potential. Hopefully it will see them under the nurturing eye of either Fergie or Wenger and not on the subs benches of Chelsea or Madrid, where their careers are as likely to stall as they are to flourish. The next post will look at some of the Portuguese youngsters coming through the ranks at their varies teams, aiming to be the next Figo, Rui Costa or Christiano Ronaldo.